Why Your Referral Program Is Not Working? Good customers want to do business with your company. Your best customers buy your products or services frequently, in larger amounts, and cause fewer problems: they are profitable customers. Customers like this should refer new customers to you, so you make more profit more easily. 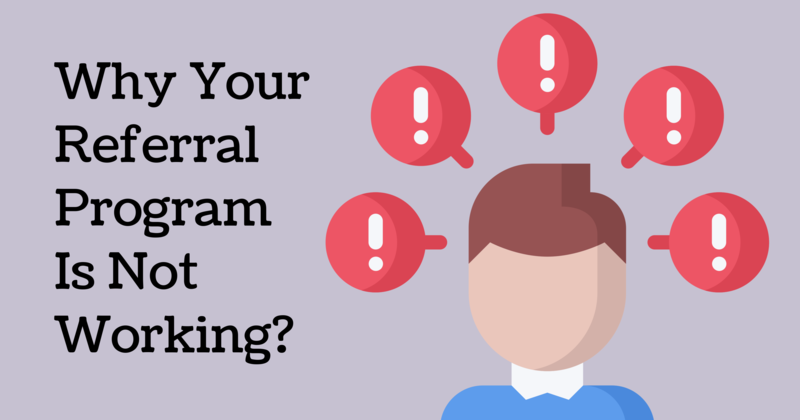 Many of them do, but some issues can limit how effective your referral program can be. Let’s look at common reasons companies are not getting great results with referrals. The second possible reason your referral program hasn’t worked is your that the customer is not convinced that you will get in touch with their friend, relative or associate, the way you look after them, so they play safe and tend not to refer. A good referral program starts with excellent customer service and sales team clarifying referrals will be taken seriously. Reason #5: What do I earn for that? If you want to learn more about how a referral software can increase your sales, subscribe to our blog and schedule a demo today and we will show you!